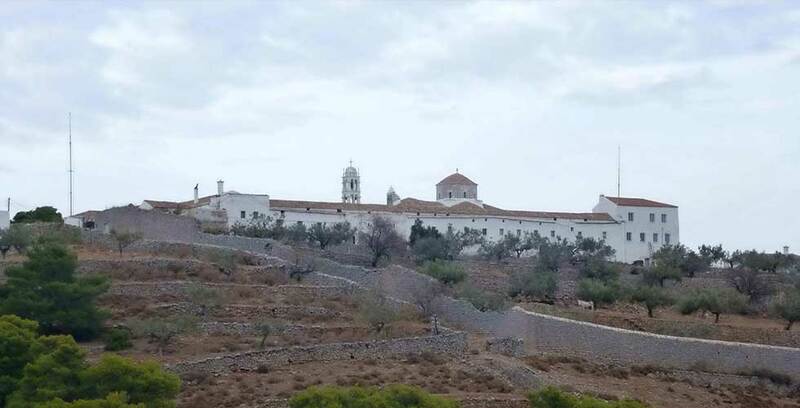 From the Church of Saint Konstantinos at Kiafa area, you follow the route for 60 minutes which leads to the men Monastery of Prophet Elias, which used to be a jail during the greek revolution, during 1821. On the way, you will meet an amazing and evergreen pine-forest and then the place "Palaion Kalograion", where there used to be an old woman Monastery, as the name in greek suggests. During the route you will find places to rest and to enjoy the amazing view from above. Reaching the Monastery of Pr. Elias, the right junction leads to the Monastery of Saint Evpraxia. There you can buy very nice handmade things. In the courtyard of the Monastery of Prophet Ilias, you will find a cistern with drinkable water to quench your thirst and stables. Also inside there is a very extensive library. 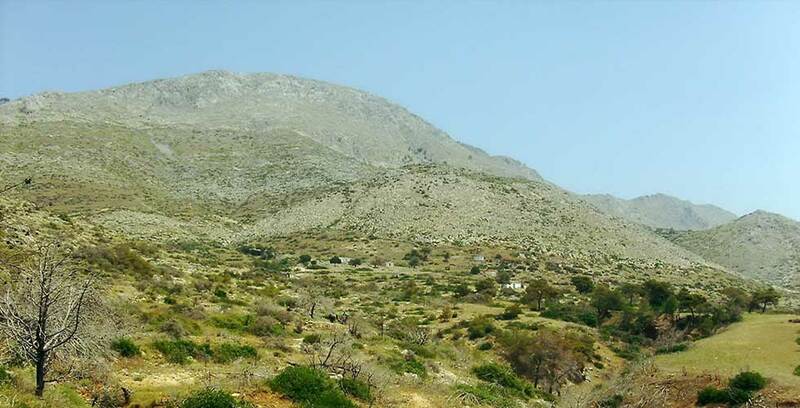 In short distance, you can view "Eros", the highest mountain on the island at 588m. The route from the Monastery to the peak of the mountain is very difficult and it will take you about 15 minutes to reach. From this point, you can also see some of the nisest scenes on the island; you can embrace the endless beauty of creation by viewing the Saronikos Gulf and the Myrtoo Sea.